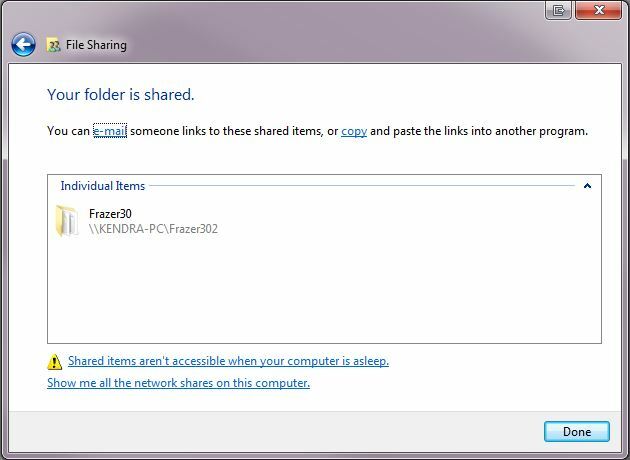 If Windows 8 is the main computer (or server) in which Frazer is located, some settings must be adjusted to successfully share the Frazer30 folder from the (C:) drive. 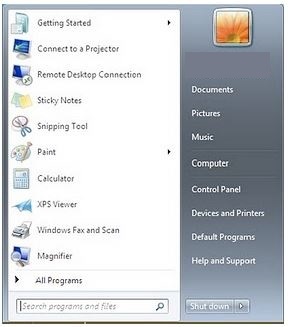 Swipe the bottom right edge of the computer screen (or place the mouse in the upper right corner) to display the control options. Make sure that the Network is set as a Private Network. 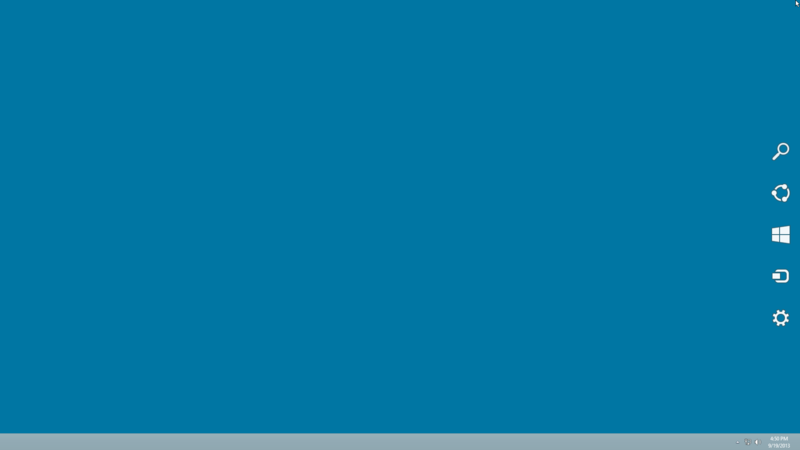 If it is set for Public, other computers will not be able to connect to this computer. 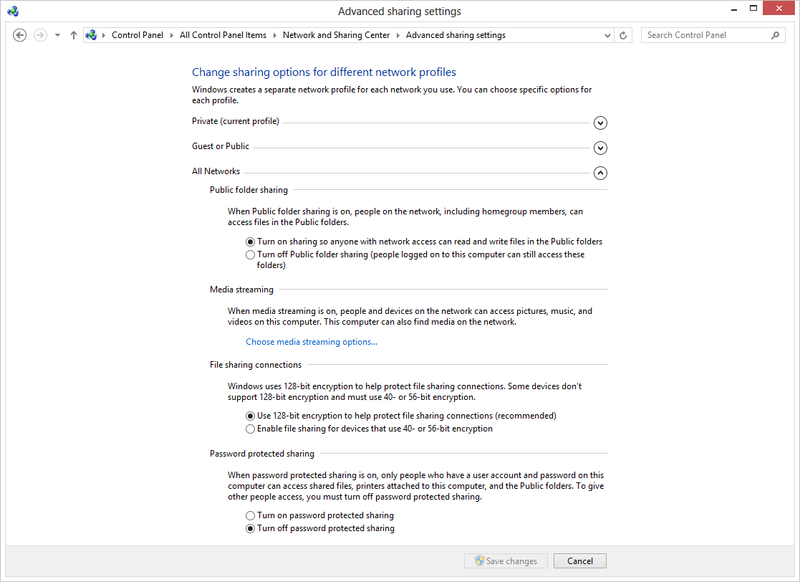 If you have a Private Network, click on Advanced Sharing Settings. On the Private (Current Profile) tab, turn on Network Discovery and Automatic Setup of network connected devices. 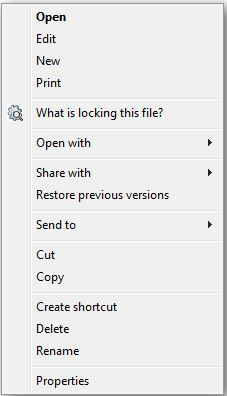 Turn on File and Printer Sharing. Click Save Changes. If these settings were already selected, you will not need to save anything. Click Cancel and continue to the next step. Again, click on Advanced Sharing Settings. On the All Networks tab, turn off Password Protected Sharing. 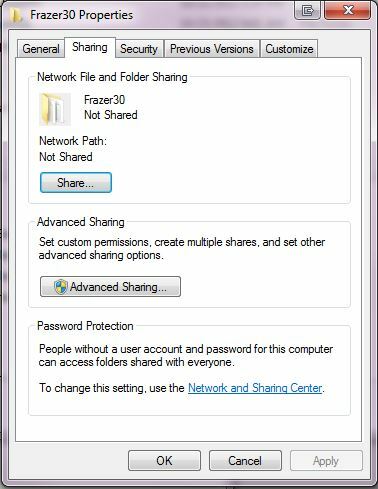 If you wish to keep password protection, Frazer users on other computers will not be able to access Frazer without the password. The network administrator controls access to the network and will be responsible for keeping the password(s). 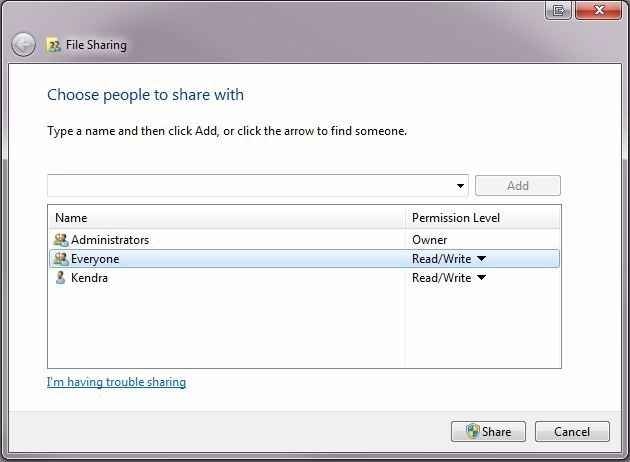 Save Changes, then close the Network and Sharing Center. 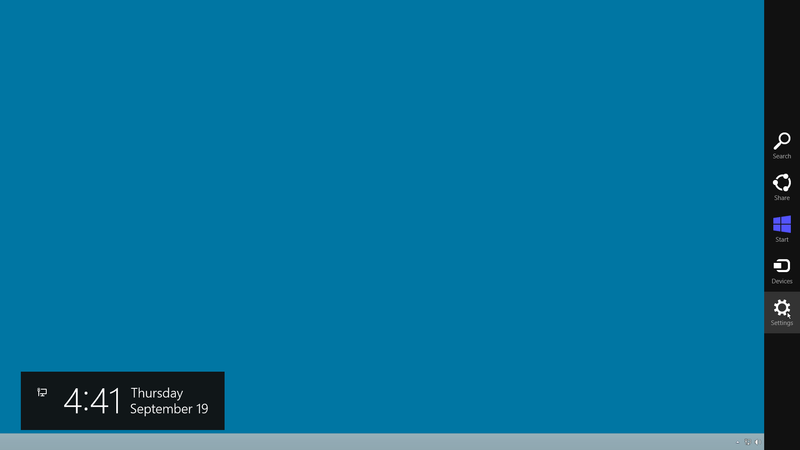 Click on Start menu. Click on Computer. 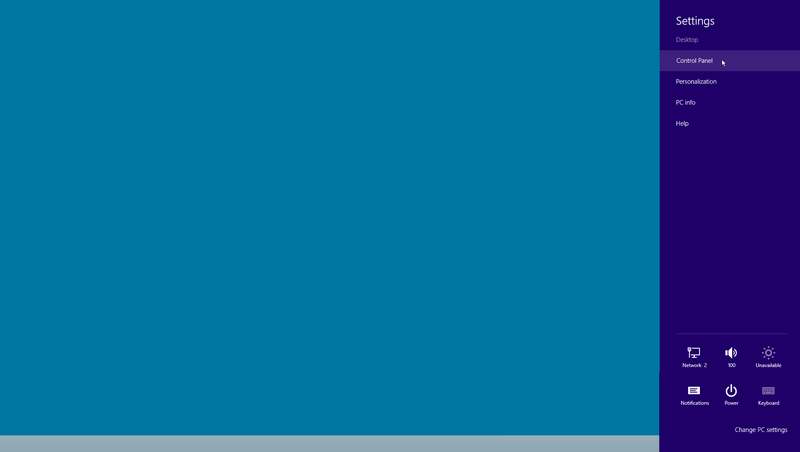 Double left-click on Local Disk (C:). Click on the Sharing tab. Click on Share. Type Everyone and click on Add. Under Permission Level, choose the drop-down option for Read/Write. Click on Share. Click on the Security tab. Verify that the user Everyone has Full Control allowed. Then click on Close. 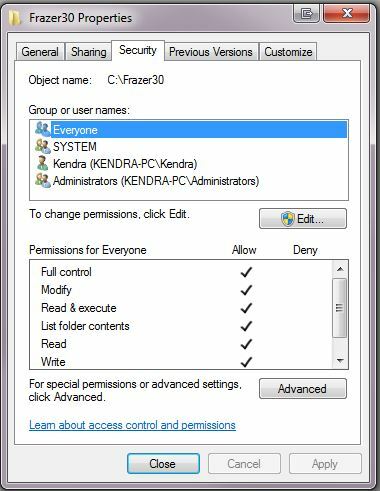 After the Frazer30 folder is shared, Add a Frazer Client to the secondary workstation computers.